A girl named Laura F. I met when I was in tenth grade. She was the first person who reached out to help me in my bumbly teenage mess. She was also the first person to issue me a vehement come to Jesus ultimatum when I was making a huge mistake. Laura F. is the reason I believe teens need straight (sometimes tough) talk with both feet firmly planted in reality. No ostrich heads in the sand around here. Twister, Battleship, The Game of Life, and hopscotch. One of the things I love so much about the lake is the bird feeders. I could sit there all day watching the birds’ intricate dance between trees, ground, and perch. Last week it finally hit me – why on earth don’t I have a bird feeder at home? I couldn’t come up with a good reason (other than DUH), and BrightSide put it up outside the kitchen window for me. This afternoon I watched a tiny bird perched, tossing aside three seeds for every one he ate, and he had a whole crew hopping from fence to grass behind him. 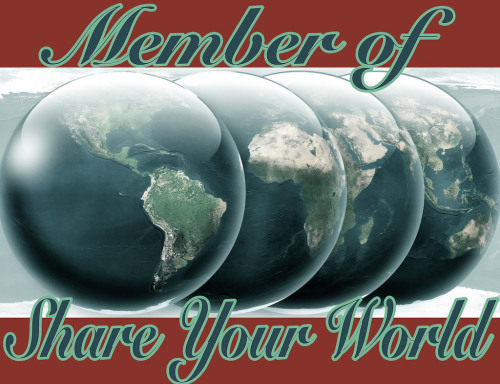 Cee’s Share Your World is part of Monday’s joy. May your feathered visitors bring you hours of joy. Ours do! Great game choices. Up until a few years ago we used to play Twister every Christmas, we just don’t bend good enough anymore. 🙂 Loved Battleship too. I’m a sucker for birds and trees and things, too.